You’ve nailed your story and are happy with the structure. Now it’s time to focus on readability so that your readers stay on the page and immerse themselves in your prose. A line and copyedit corrects and smooths – artfully but invisibly. You want detailed feedback on the effectiveness of your writing at sentence level. I'll assess the first 5,000 words of your novel, show you what's holding you back and suggest fixes. Ideal for beginners wanting to hone sentence-level craft. Your book has been copyedited. A proofread is the final tidy-up that looks out for any problems that have slipped through previous rounds of editing and formatting. ​It's the last line of defence before you publish. Is it worth editing after publication? Some authors publish before they hire professional editorial help. This can lead to critical reviews that praise the plot but damn the presentation. ​With hindsight, these writers would have hired their proofreader or copyeditor first. It's never too late, though. 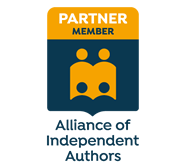 I've worked with several independent authors on their books after publication, enabling them to publish revised editions in top-notch shape. Naturally, I recommend sourcing editorial help before you go public, but if that's not the choice you made, and you wish you'd done things differently, get in touch so we can chat about how to move forward. Subject to availability in my schedule, I am happy to provide you with a sample of my proofreading/editing service. The price is a flat fee of £50 for a sample of no more than 1,000 words.